2 x Konzerte, leckeres Essen, Freunde treffen, usw. Eintritt frei – Spende für die Künstler gewünscht! 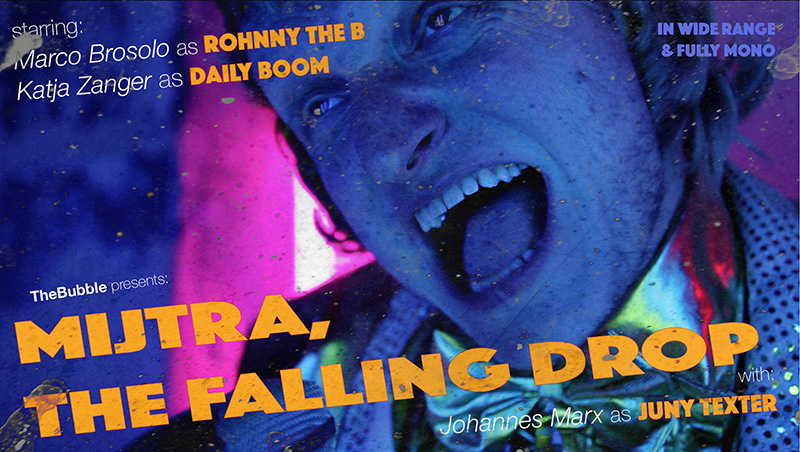 ROHNNY THE B (Marco Brosolo) singt: “Ich könnte leben auch auf einem Baum!” Seit dem vorigen Jahr zusammen mit DAILY BOOM (Katja Zanger). Lieder seines Albums Cadremo Feroci mit den einzigartigen Texten des Poeten Federico Tavan. Und es gibt Neues zu hören, denn ein neues Album sitzt auf einem Ast des Baumes in Sonne und Regen, es wird sich von ihm verabschieden und bald loslegen! Am bass JUNY TEXTER (Johannes Marx). Born May 9,1984.from Osaka, Japan. Musician/artist, sound designer, mastering engineer, label “an epic” owner. In 2004 he formed an audio visual unit “a snore” and has been performing mainly in Kyoto, Japan. Started his solo activities from 2010. In 2012 he released his debut album “Hallo my friends. It’s me” (shrine.jp). He has released 8 titles in CD, cassette, vinyl and digital so far. In 2015 he transferred his base of activity to Berlin. He is using Elektron’s hardware from the beginning of his solo activity. He considers the seamless changes in sound as the characteristics of synthesizer and at his live performance he only use analog equipments. His rhythmical and precise-textured music expresses a visible stereophonic sound and a realistic sound image landscape. posted on 1. Feb. 2019! 17.Nov.2018 – Ausstellung von Polina Ugarova, Performance und mehr! * The exhibition is gonna last until 30th November. Polina Ugarova is a freelance illustrator, designer, and fine artist. She was born in Halle (Germany, GDR), grew up in Ukraine and now living in Berlin. She studied illustration at Berlin School of Fine Art and Design. but she also works with Photoshop and After Effects by creating animation. posted on 22. Oct. 2018! With live performance, DJ, food and more! posted on 18. Oct. 2018! SHOXXXBOXXX präsentiert die zweite Rund vom “Ambient Abend”!!! 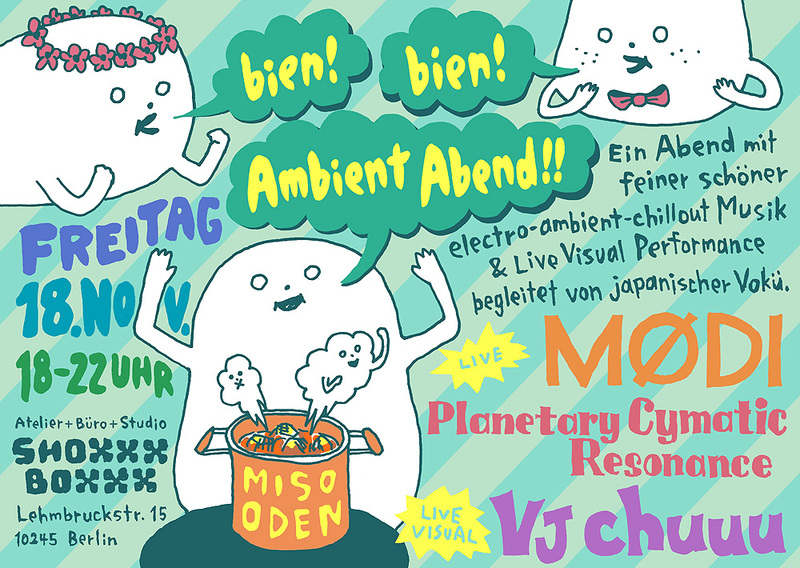 Ein Abend mit feiner schöner Elektro-Ambient Musik und Live Visual Performance, begleitet von Japanischer Vokü. 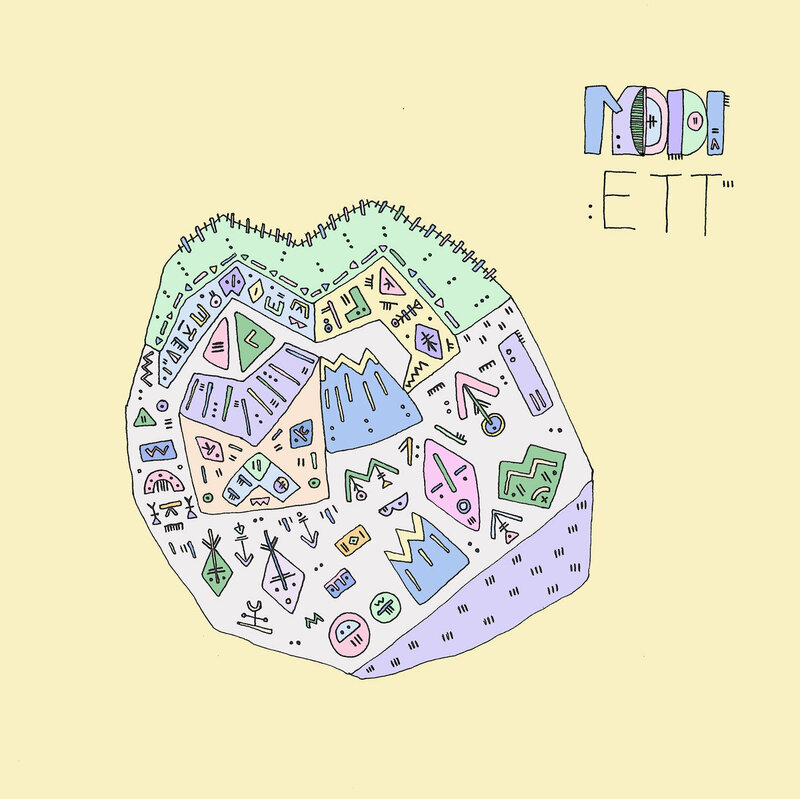 MØDI, die vor etwa 2 Jahren schon mal in der SHOXXXBOXXX gespielt hat, ist mit ihrer ersten Album “Ett” wieder da, juhuuu!!! 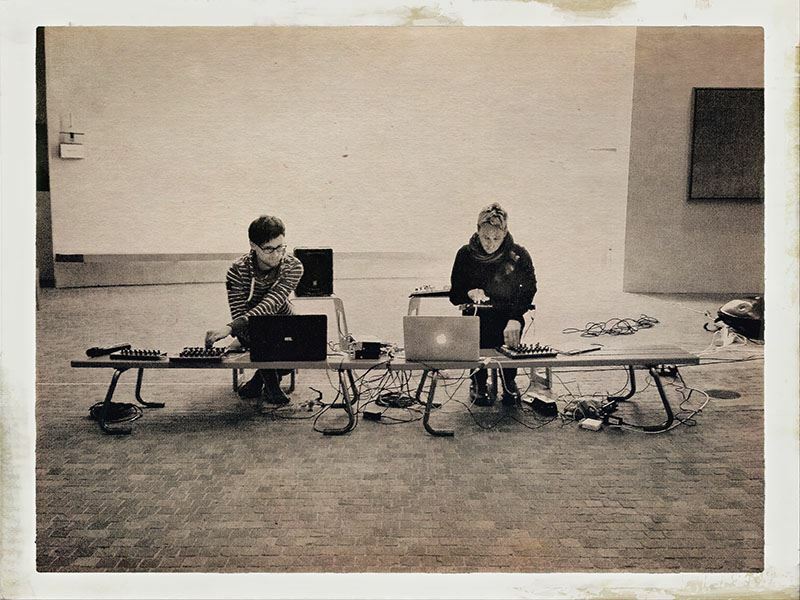 Berlin-based trio making electronic/ambient music. in einer nur durch kerzenlicht erhellten spelunke. drinnen vergruben drei ein versprechen. in klaren nächten hört man sein raunen und säuseln. und legt beide hände fest ans linke ohr. Window Magic is the ambient/tape music project of Andreas Bonkowski (Siva. / I Might Be Wrong / SDNMT). 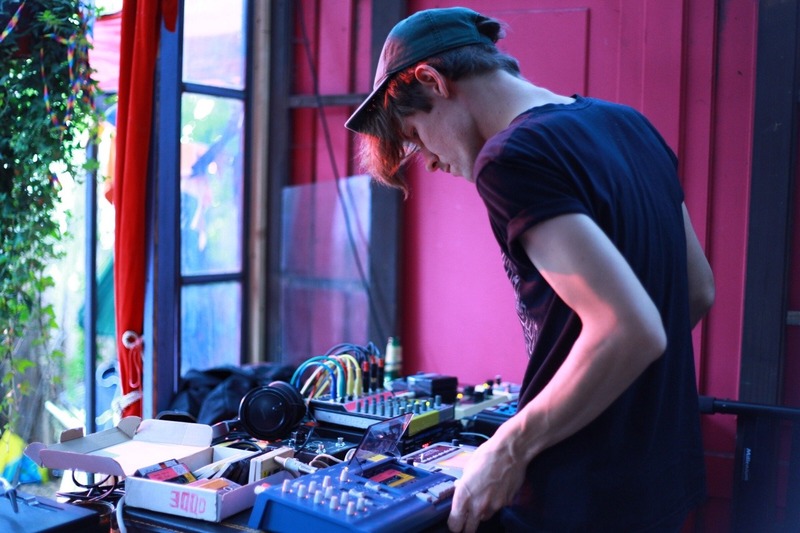 With cassette tape loops, analog synths and bag of trusty effect units he is creating lo-fi collages and mystical soundscapes. 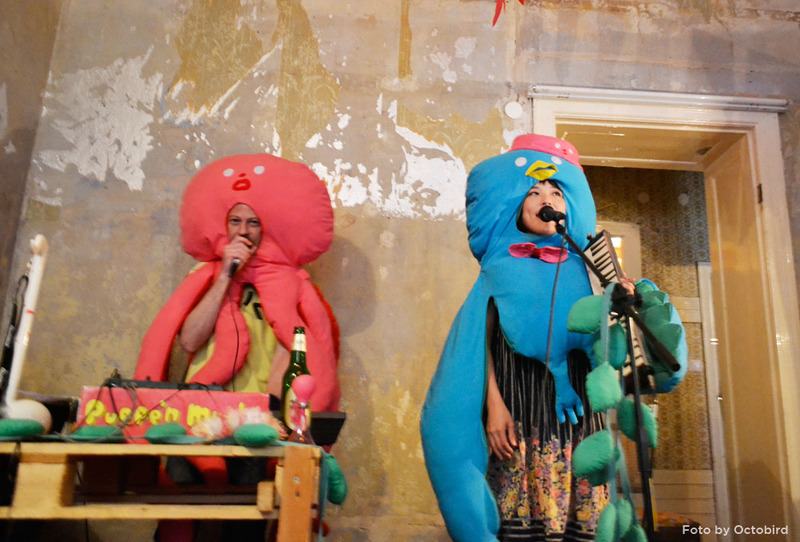 chuuu is a Japanese Painter, VJ, Video performer and Noise musician. He uses some physical materiality for his video performance. 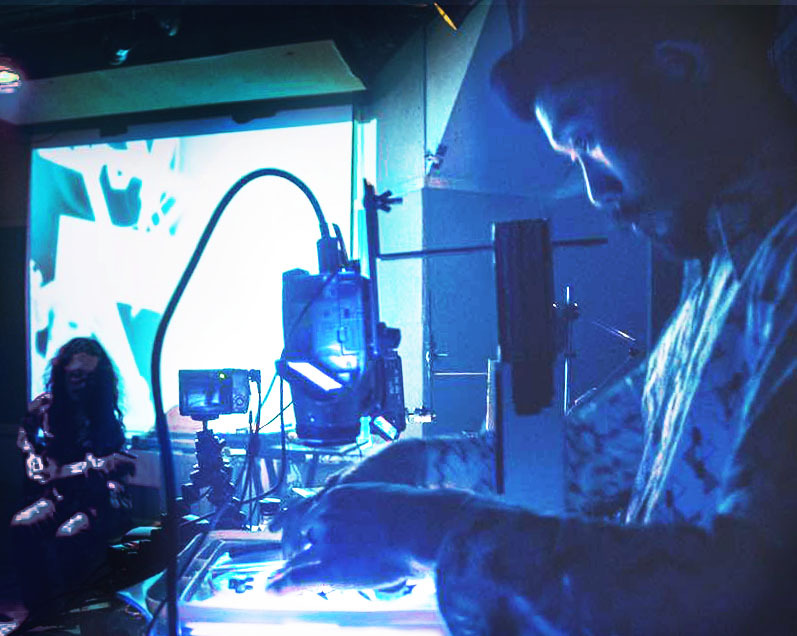 With years of experience as both a live analog VJ and as a painter, Chuuu is perfectly suited to combine these two fields, and the results are a psychedelic and synergetic mix of sensory delights. posted on 27. Aug. 2018! 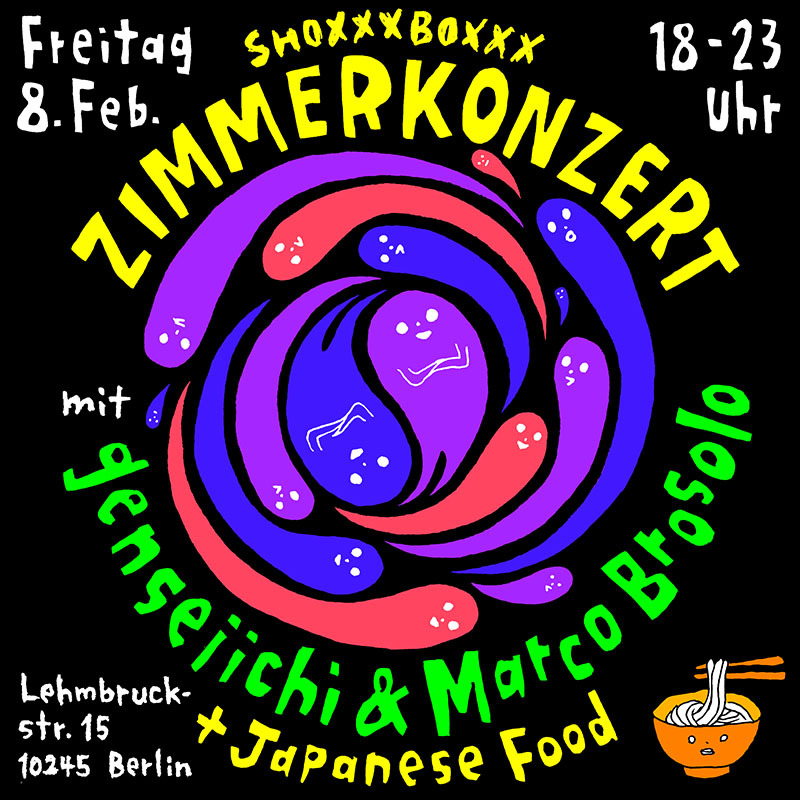 Czentrifuga presents the second round of SHOXXXBOXXX Special!!! 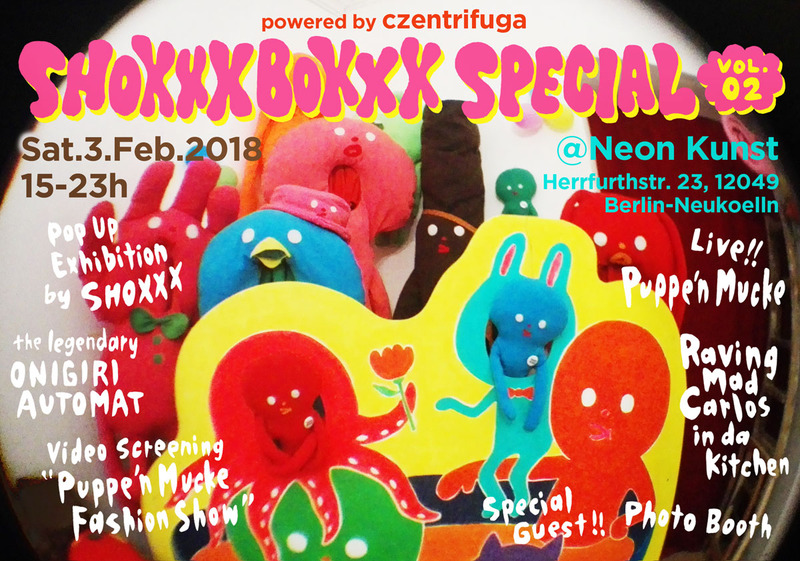 An arty cozy entertainment Saturday at the non-commercial arts space NeonKunst in Neukölln. – Raving Mad Carlos in da kitchen! Spontaneous jam session!? and more! 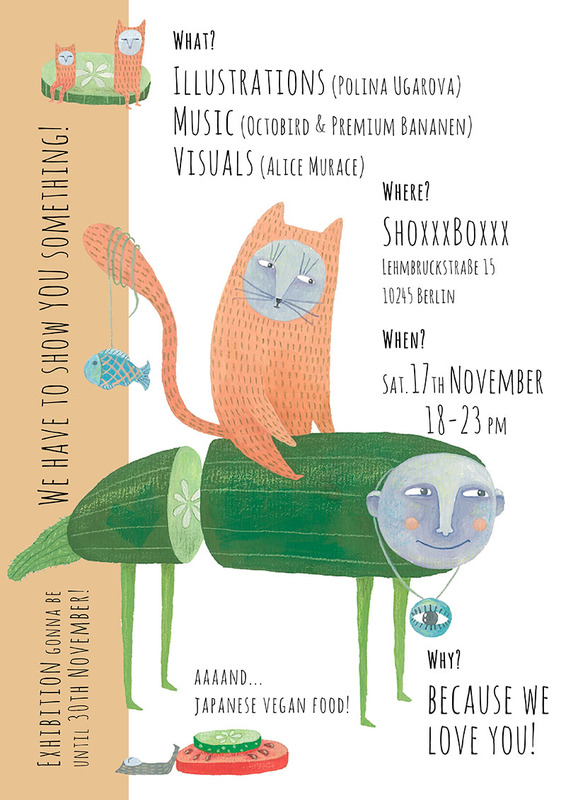 SHOXXXBOXXX is an art label based in Berlin, owned by visual artist SHOXXX, with a gallery-atelier where different events take place. SHOXXXBOXXX Weekday Lounge is a new event series which features a simple program and good (and cheap) food. Eintritt frei – Spende für die Künstler bitte! 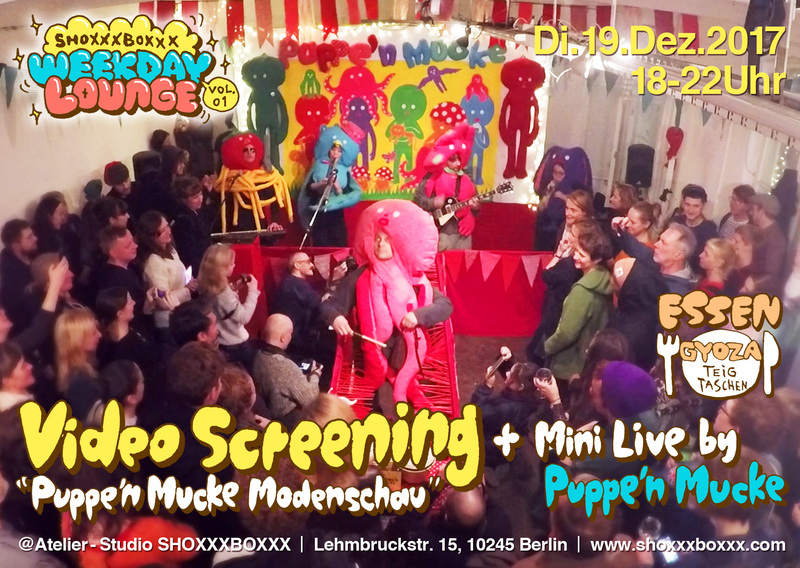 A video from Puppe’n Mucke’s fashion show at gallery Neurotitan on 2.Dec.2017 at the vernissage of a group exhibition “Who is afraid of friendly capitalism”. 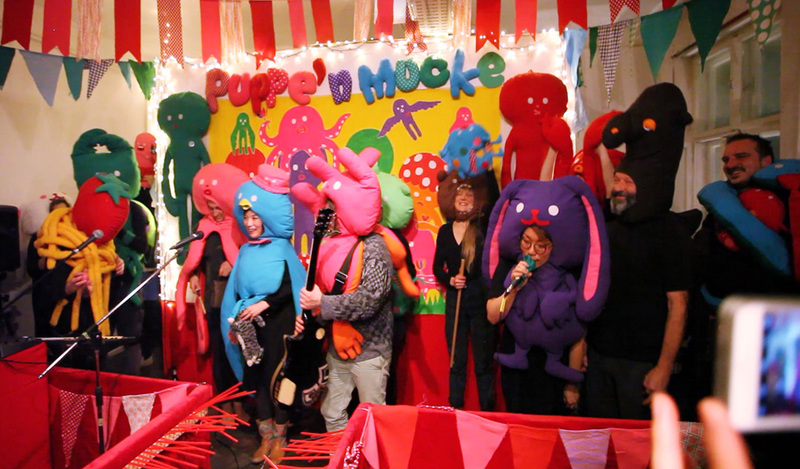 The band members 4 + special guests 9 = 13 people appeared with puppet costumes on a special stage with catwalk. 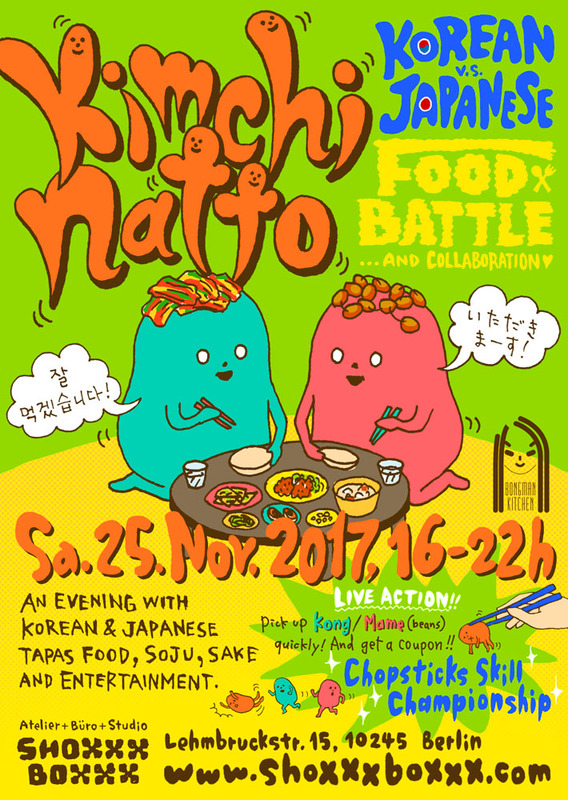 Kimchi-Natto vol.03 – Korean v.s. Japanese Food Battle!!! Korean v.s. Japanese FOOD BATTLE!!! an evening with Korean & Japanese TAPAS FOOD, SOJU (Korean vodka), SAKE (Japanese rice wine) and ENTERTAINMENT. !!! please come hungry !!! Pick up Kong / Mame (beans) quickly! 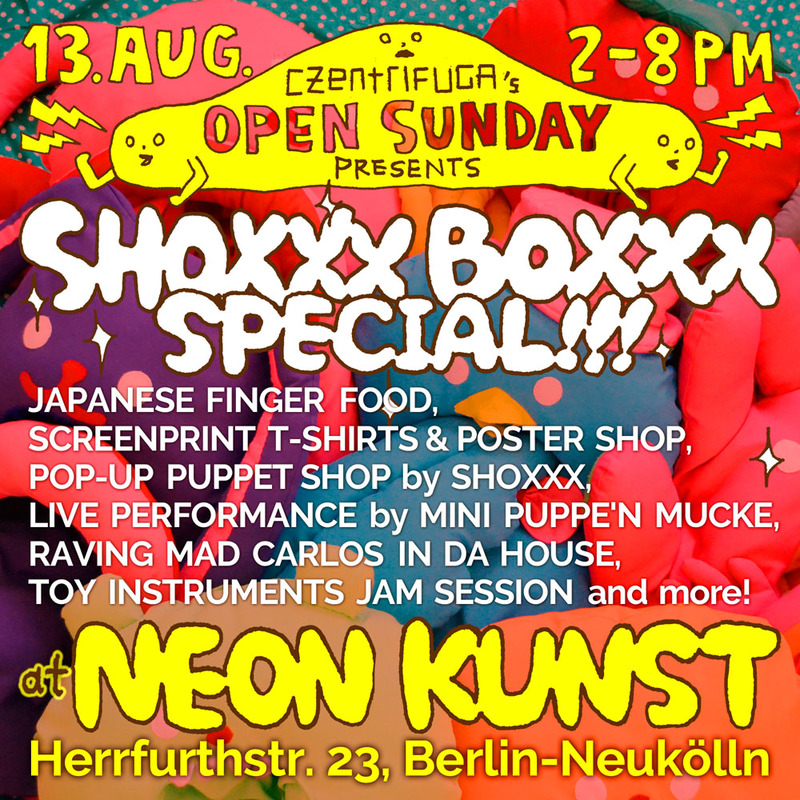 A fun & odd Sunday afternoon at the non-commercial arts space NeonKunst in Neukölln. – Raving Mad Carlos in da house! Planetary Cymatic Resonance is a project based on tunings calculated from natural frequencies found in our universe like the movement of planets (planet tones – Cosmic Octave) or the resonances of molecules. 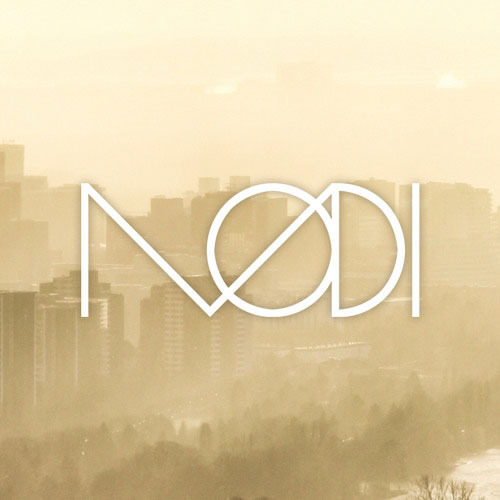 Devoted to well-being and the resonant recalibration of people to their sonar origin, they create a symbiosis between the sound of acoustic and synthesized instruments. P-C-R’s music is a synthesis between musical expression, scientific calculation, modern technology and ancient wisdom. 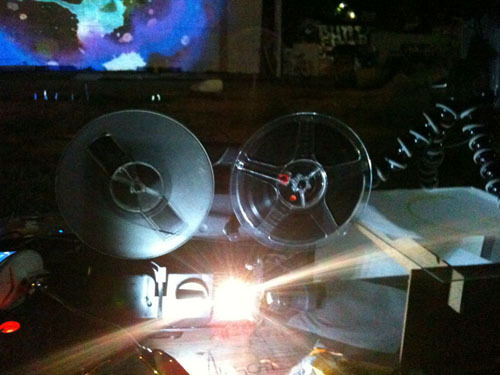 He uses 8mm film, projector and some physical materiality for his video performance. 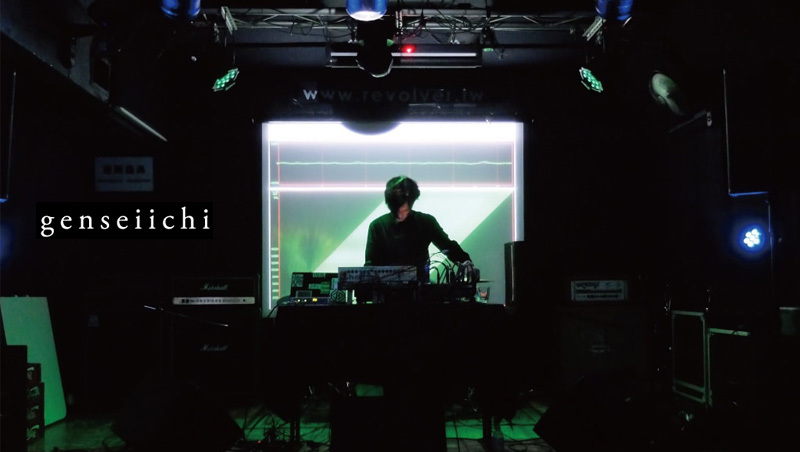 With years of experience as both a live analog VJ and as a painter, Chuuu is perfectly suited to combine these two fields, and the results are a psychedelic and synergetic mix of sensory delights. 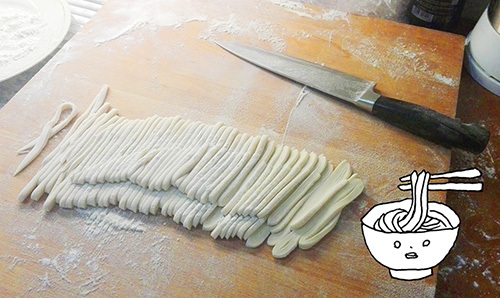 Oden ist ein typisches japanisches Wintergericht. Es ist ein japanischer Eintopf, in dem mehrere Zutaten zusammen in einer würzigen Dashi-Brühe gekocht werden. Dies mal wird es mit süße-salzige Miso-Sauce serviert. Oden is a typical Japanese winter dish consisting of several ingredients stewed in a light, soy-flavored Dashi broth. This time it will be served with sweet-salty Miso sauce. 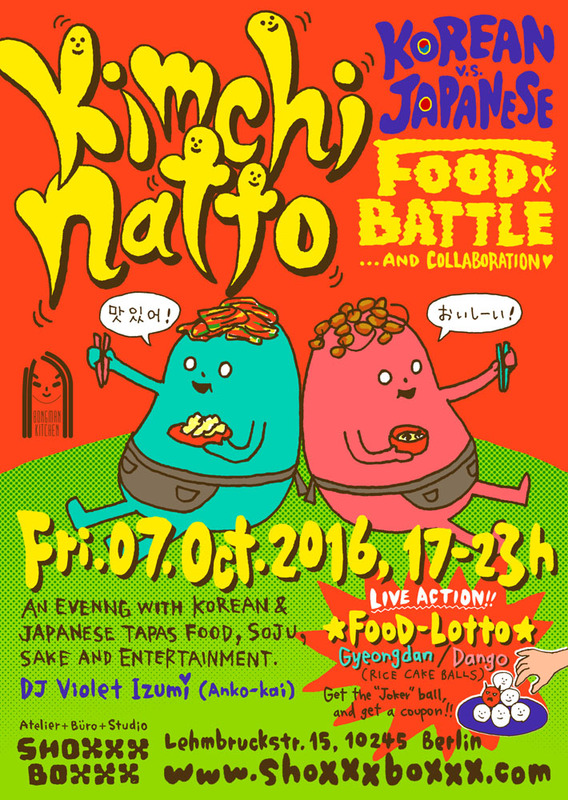 Kimchi-Natto vol.02 – Korean v.s. Japanese Food Battle!!! 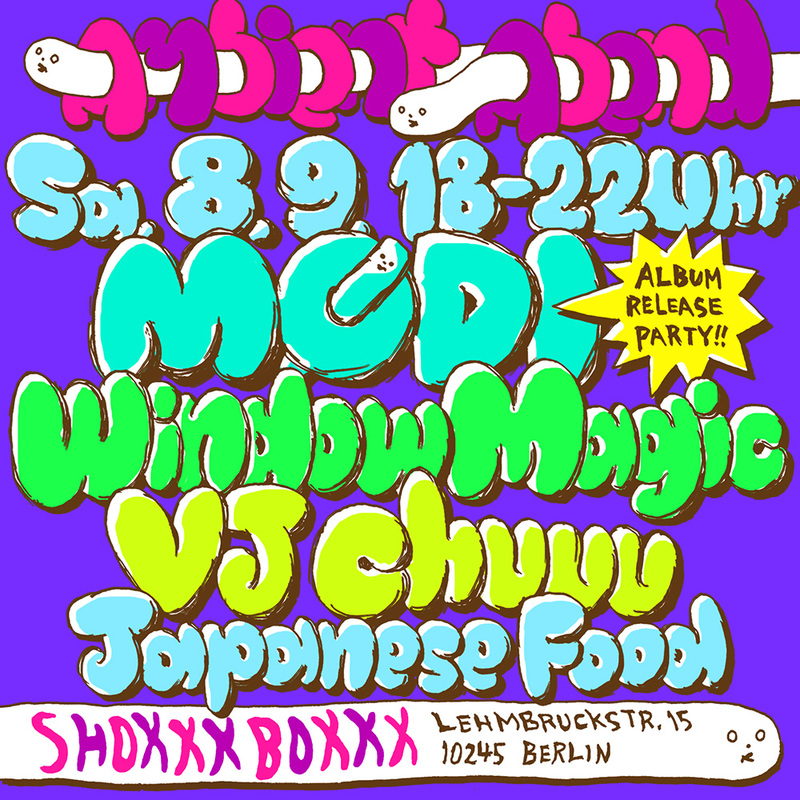 DJ Violet Izumi (Anko-kai) will play retro-pop-funny Asian music for dinner time. Get the “Joker” balls! And get a coupon!